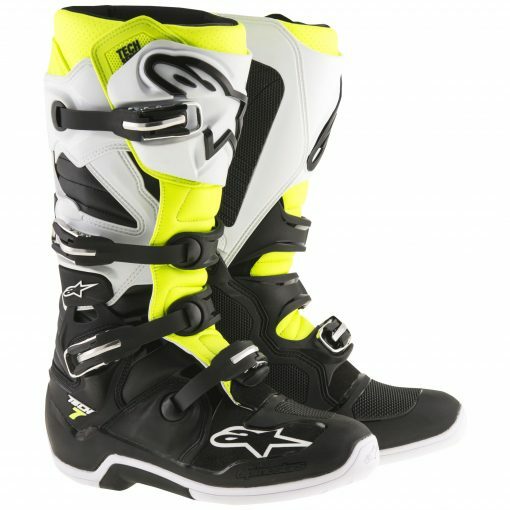 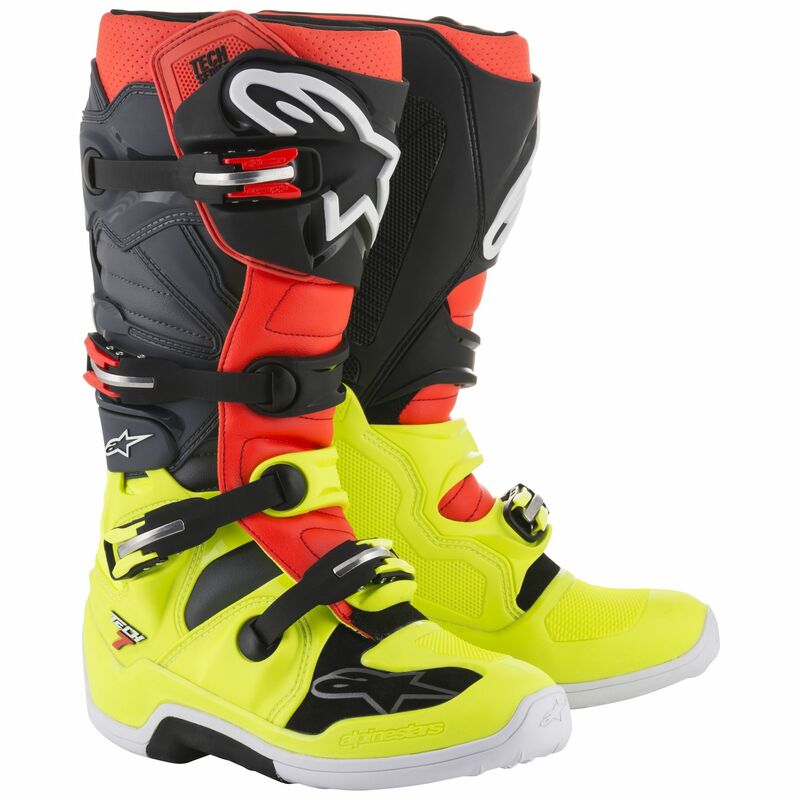 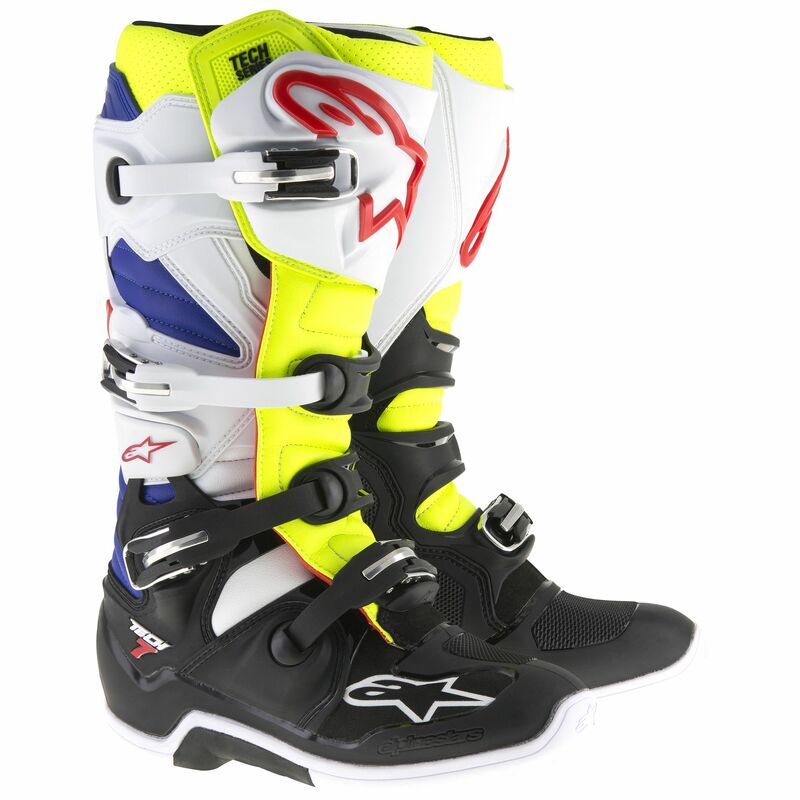 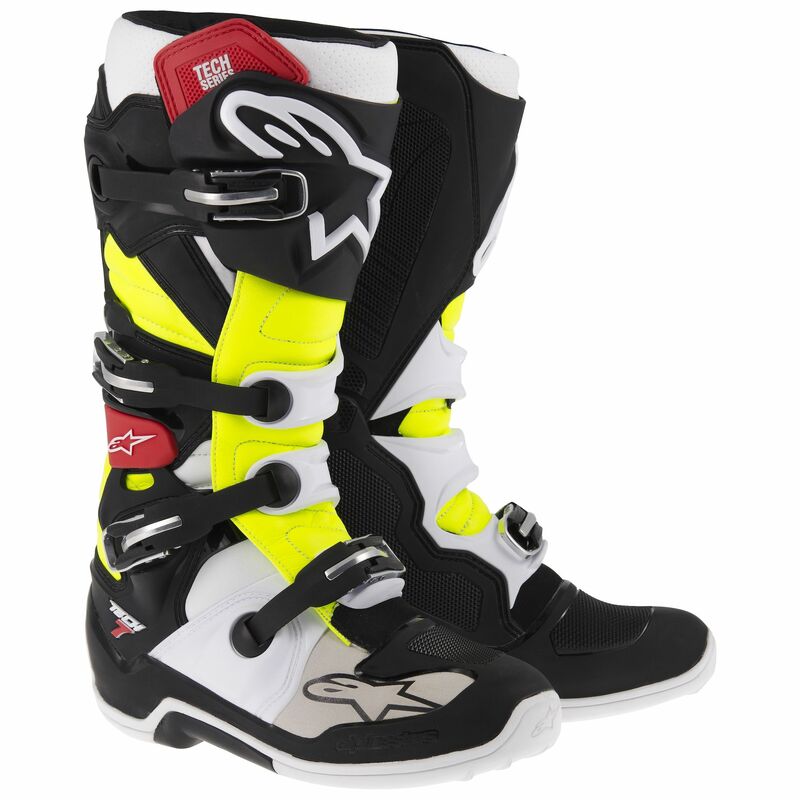 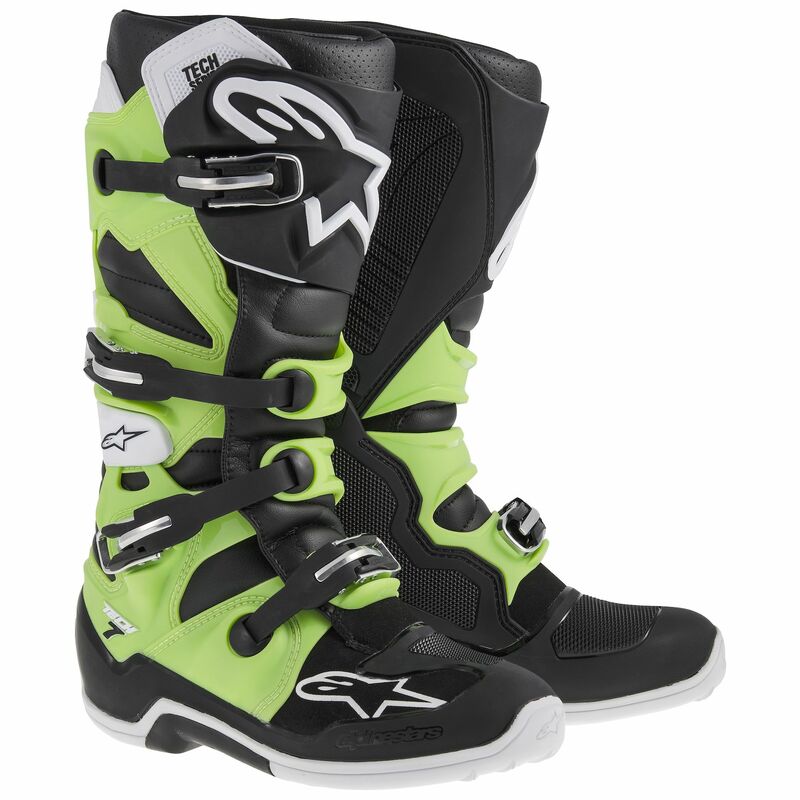 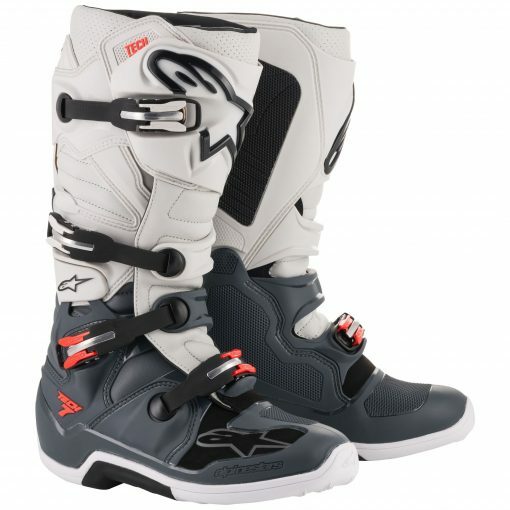 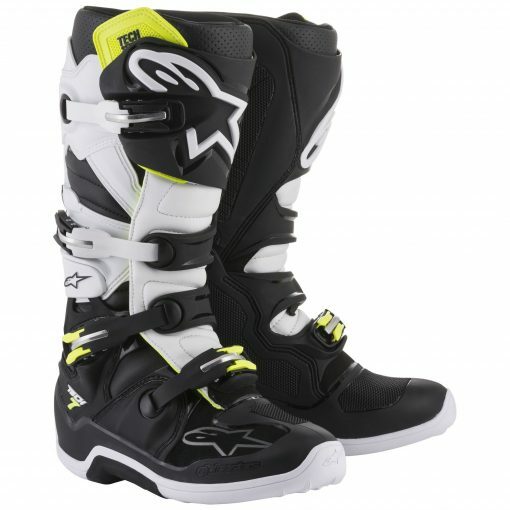 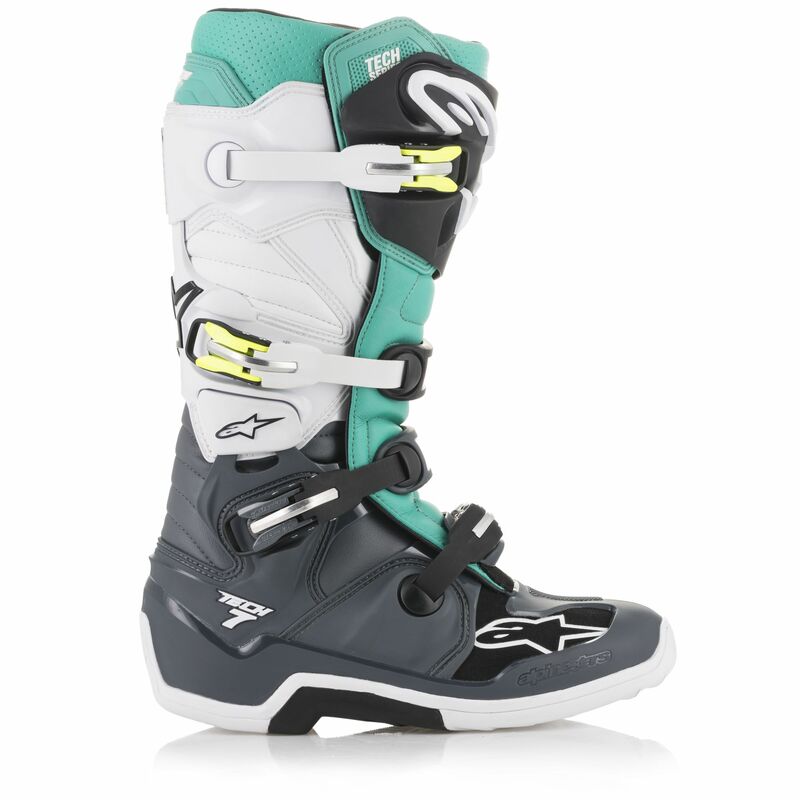 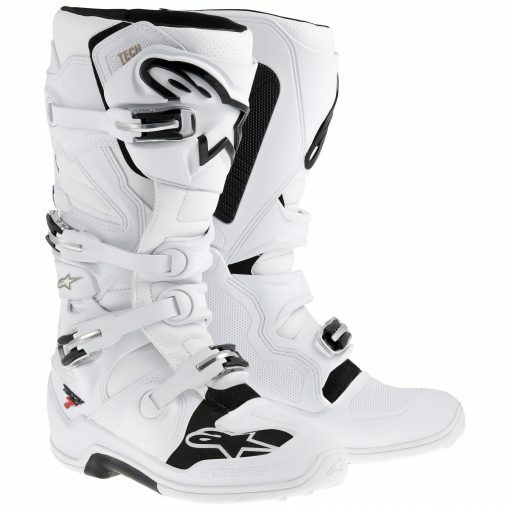 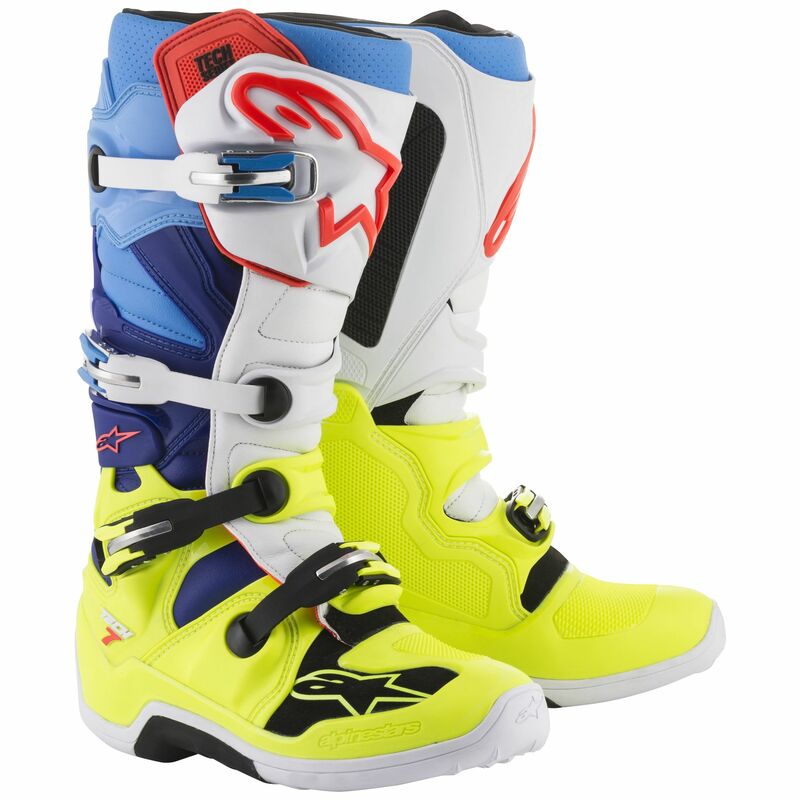 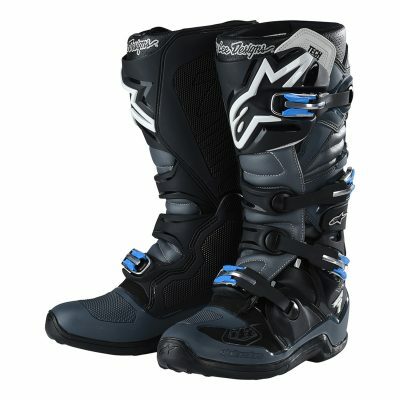 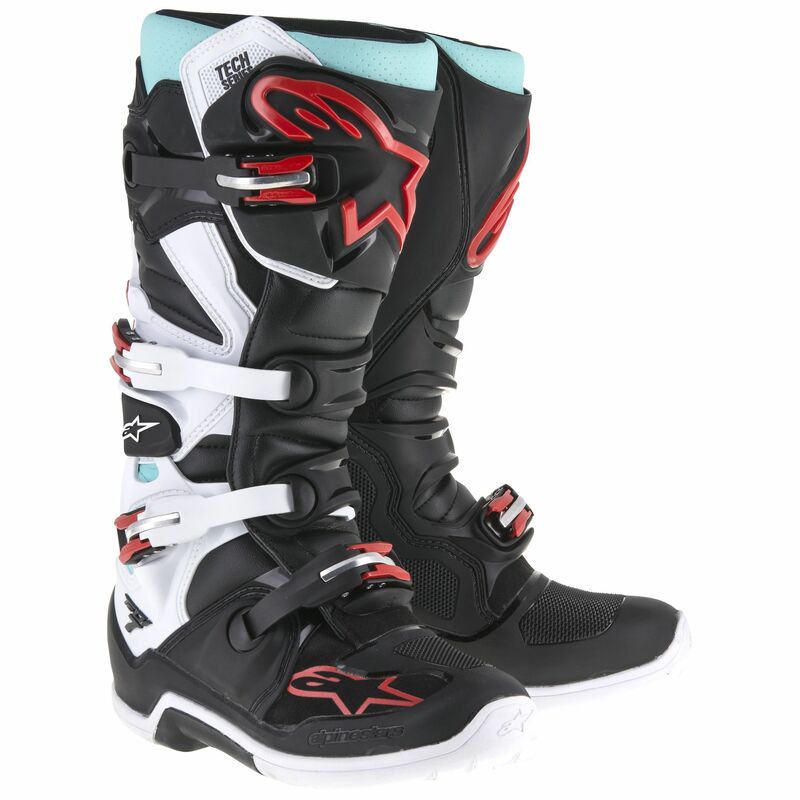 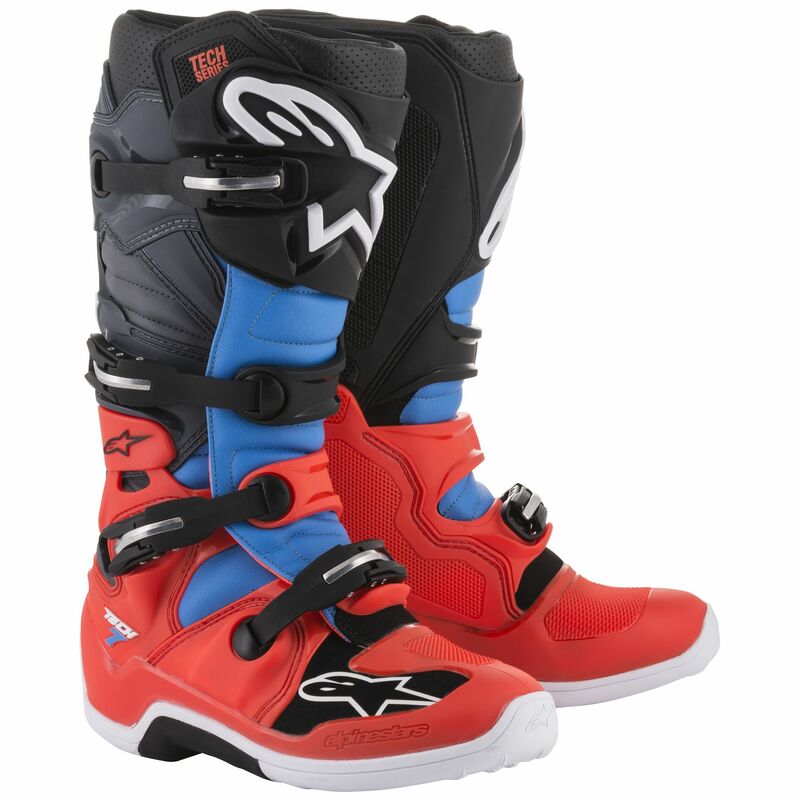 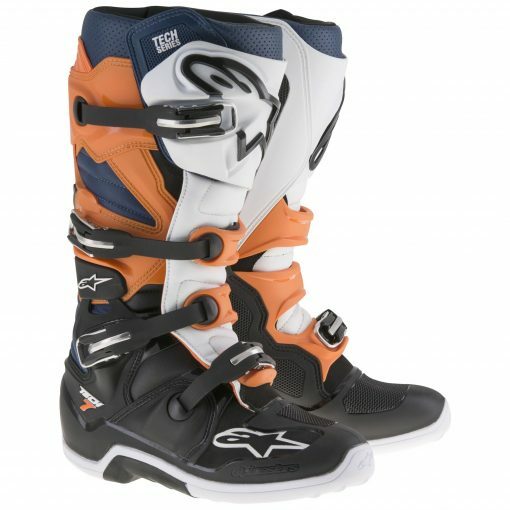 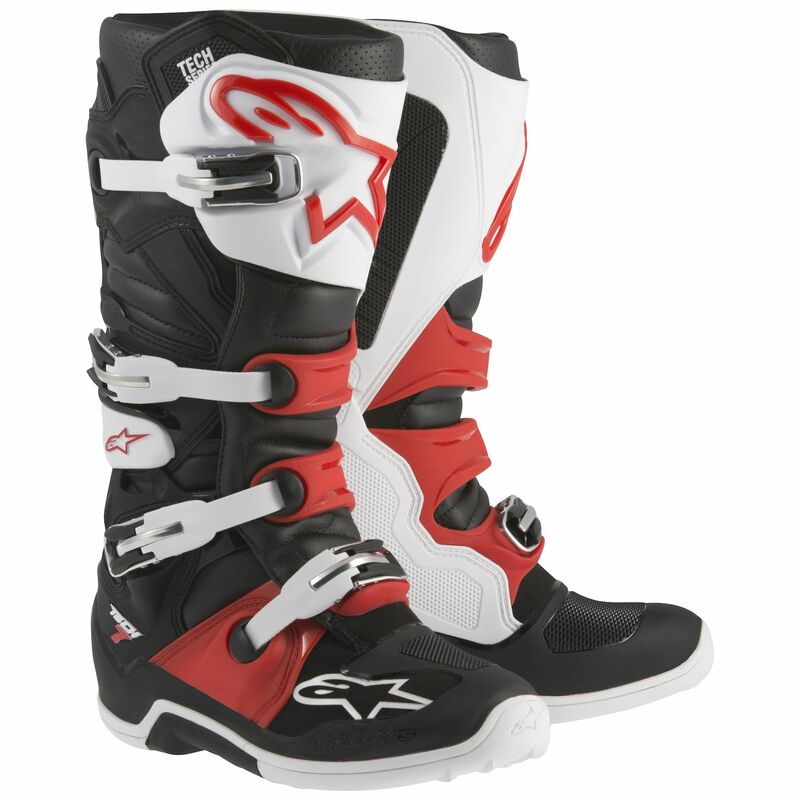 The Alpinestars Tech-7 Boots feature an upper constructed from light, innovative microfiber that is flexible and abrasion resistant. 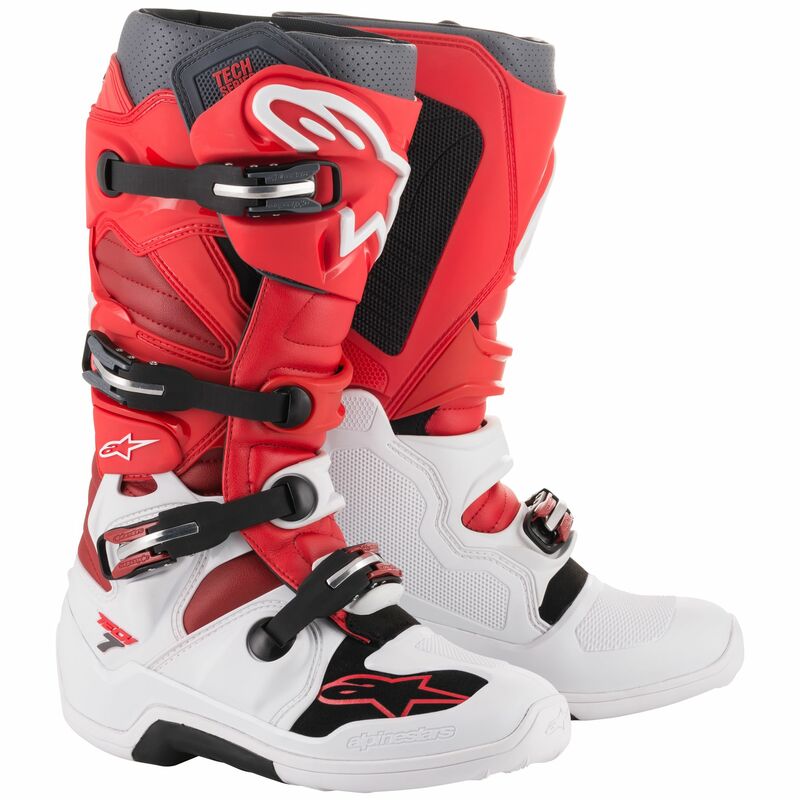 Innovative, evolutionary TPU shin-plate construction for greater range of fitment features a reinforced VELCRO® brand closure for comfortable, highly customized closure. 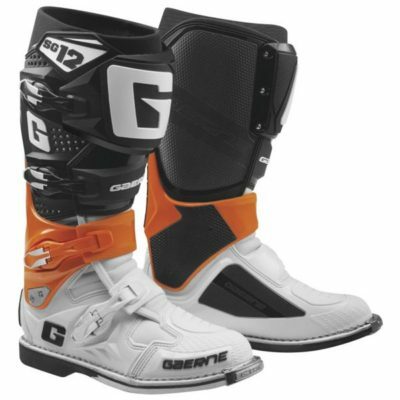 The shin zone incorporates a TPU blade system engineered to prevent frontal hyperextension and offer greater flex control. 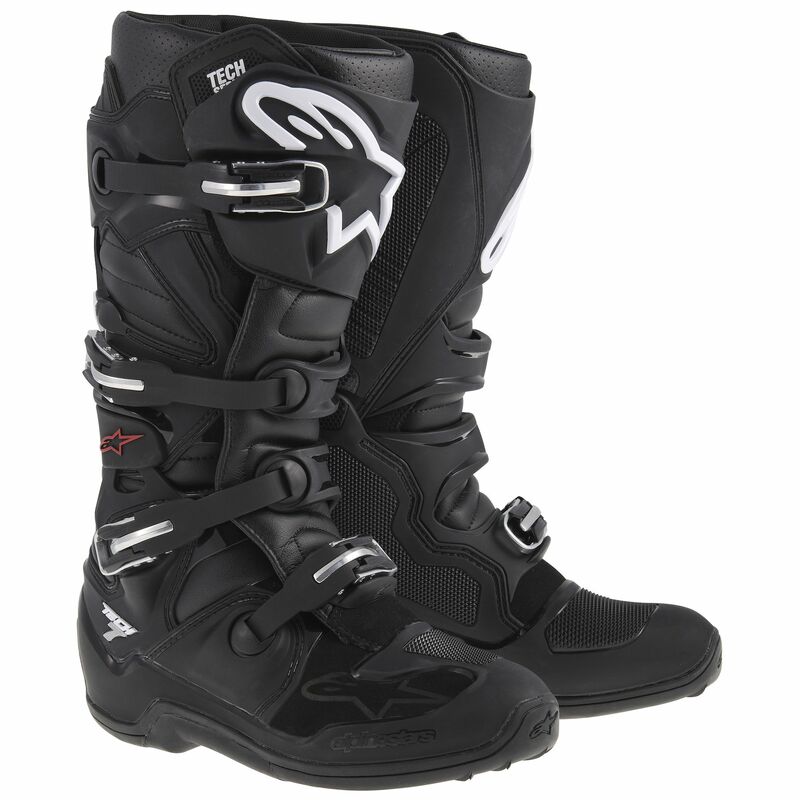 Wide entry aperture for convenience with VELCRO® brand upper closure TPR flap to allow broad ranging calf fit adjustment and support. 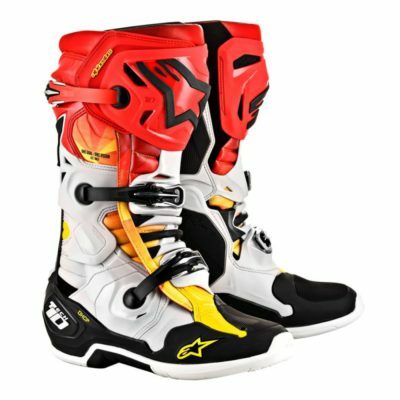 Medial-facing area is constructed from one-piece TPU panel with honeycomb sculpturing for maximum grip contact with bike and improved heat and abrasion resistance. Top rear flexion of the boot is supported around the calf by an innovative TPU sliding blade system which dissipates the friction.